The latest release on K Nass’ Northern Lights Music welcomes Michael A back to the label for his debut single. The Belarus based artist and Genesis Music boss helped launch the label with a remix of ‘Nephilim’ by K Nass just last month. 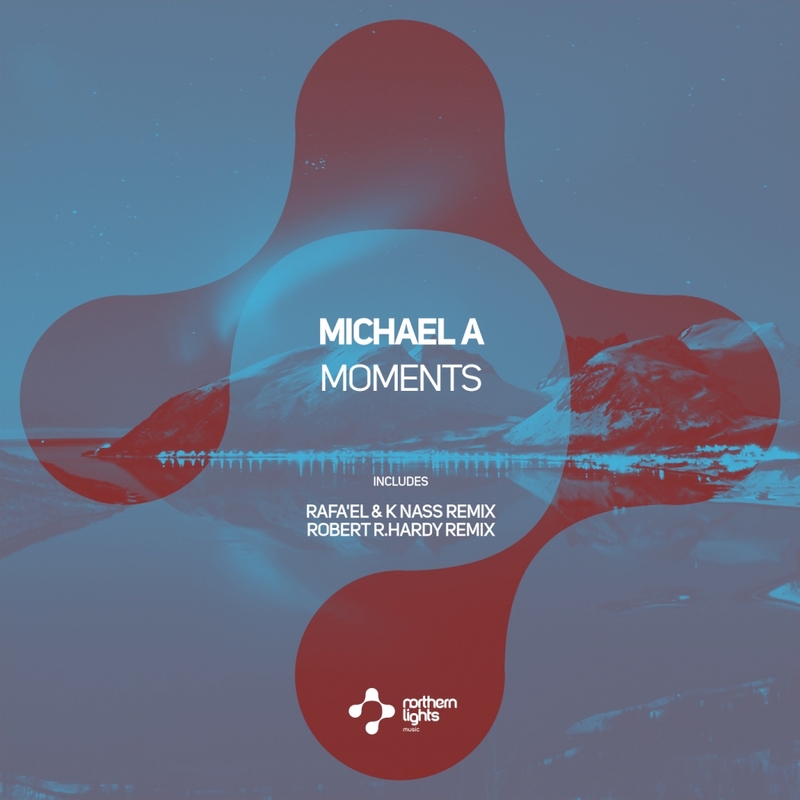 Now we see Michael returning for his much anticipated debut single alongside remixes from Rafa’EL & K Nass and Robert R. Hardy. Consistent support from progressive house icons Hernan Cattaneo, Nick Warren and Guy J has seen Michael remain one of the most in demand names in the underground. His latest, entitled ‘Moments’ goes a bit deeper with a funky foundation, dulcet tones and Michael’s trademark pristine production details. The standout element during a super smooth first act is a distinctive vocal hook. There’s a timeless quality about it and it adds a soulful element as the track builds towards a more melodic main break. Sparkling keys dominate the tracks centrepiece with said vocal eventually reigniting the groove for a strong finish. This one’s cool and classy from beginning to end, great stuff from Michael. Northern Lights certainly put together a stellar remixer cast for the label’s first release and they’ve done so here as well with Rafa’EL & K Nass and Robert R. Hardy delivering great interpretations. First up Rafa’EL & K Nass follow solo remixes for Superordinate Music last week and take ‘Moments’ into dreamier progressive minded territory. The deep, atmospheric qualities are well conveyed here but with a warm wall of bass and drifting motifs it puts them in a totally different context. It’s effortless flow and meditative qualities are certainly its strongest suit, avoiding any big, bold moments for a satisfying journey for the mind and feet. Gorgeous remix from Rafa’EL and K Nass. Closing the release out is Robert R. Hardy who is making his first appearance on the label. Ever consistent and incredibly prolific Robert injects some of his deep grooves into ‘Moments’ for yet another excellent remix. With a markedly slower tempo, meaty kick and chunky foundation the piece gets underway with a great vibe. Evolving atmospheres and metallic motifs play nicely throughout the first act before a short break lets the dreamy environment breathe just a touch. The return of the groove is highly pronounced and with its stripped surroundings the power of it definitely hits you. A sure fire back room groover or ideal warm-up piece as well. Brilliant work from Robert and another standout release from Northern Lights Music who continue to build a great label. Don’t miss it.